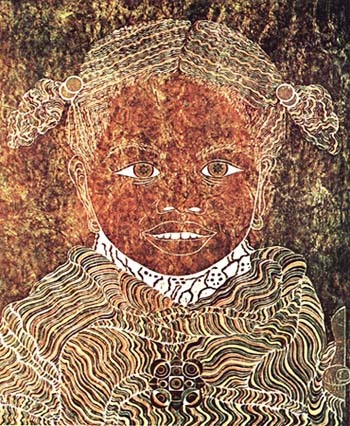 A typical African American school- aged child who aspires to become a professional woman. Printed on Kinwashi, a handmade Japanese printing paper made from plant fiber. Edition size: 11. Zero Artist Proofs. 20.50" x 23"